A bench with a view – that’s Drumlanrig Castle in the distance. It’s been awhile since we discussed daytrip recommendations from Edinburgh – in fact, I think our last exploration was to the city of Pitlochry for the Enchanted Forest. Today I’d like to suggest something just slightly further afield, so it’s probably better undertaken with a car, but still a worthwhile journey. It’s Drumlanrig Castle & Country Estate, found in the Scottish borders. 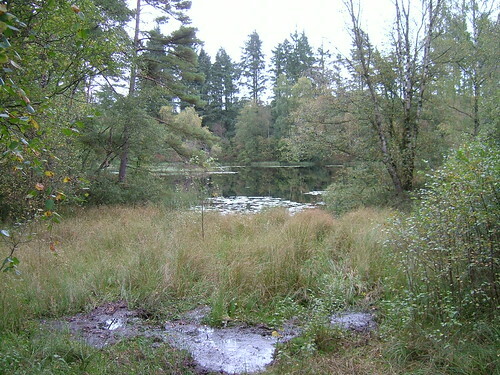 The destination was named Scotland’s best country park and has both indoor and outdoor activities to suit the best and worst of the Scottish weather. 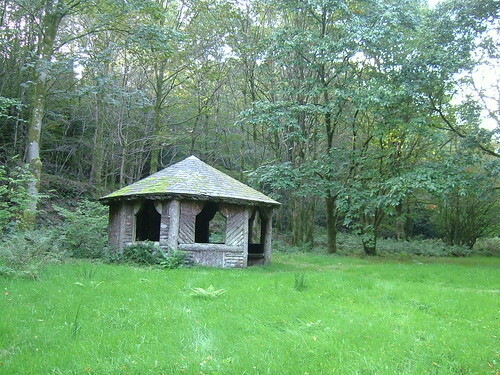 The purpose of a country park is to provide a place that has a natural, rural atmosphere for visitors who do not necessarily want to go out into the wider countryside. Visitors can enjoy a public open space with an informal atmosphere, as opposed to a formal park as might be found in an urban area. For this reason country parks are usually found close to or on the edge of built-up areas, and rarely in the wider countryside. Note that there’s nothing to do with the management or financing the park – anyone can open and run one and call it a country park. But why split hairs – with all of our lovely outdoor spaces, my view is any area that has been geared up for our enjoyment can call itself whatever it likes. Visit Drumlanrig Castle: The castle is the centrepiece of the attractions. From admiring the architecture to seeing the Buccleuch art collection, or just a stroll in the gardens, the castle is a fantastic place to spend an afternoon. The building is made of pink sandstone and was built between 1684 and 1691. It’s a real experience to head up the massive drive and watch the castle come closer and closer into view. If you’re feeling peckish, don’t miss out on the stables cafe or tearoom. 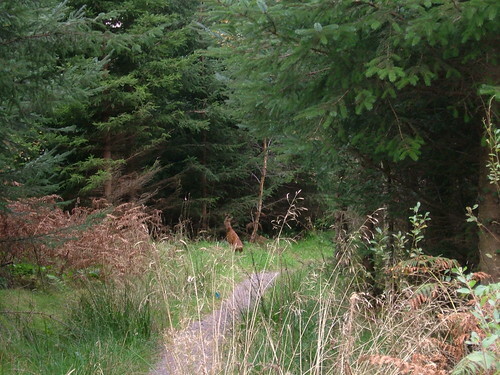 Go on a Ranger Walk: The estate grounds around the castle is teeming with wildlife. You can go exploring on your own, or alternatively you can go on a ranger-led walk. I would suggest maybe the ranger walk is a bit more fun given the diversity of species you’ll see en route, including buzzards, woodpeckers, barn owls, herons, roe deer, stoat, otter, slow worms, and finches. Go Fishing: There are plenty of options for fishing exploration on the grounds. The main draw is the River Nith, which is the largest river in the region and is packed with salmon and sea trout. If you don’t fancy that, you’ll also have your choice of seven trout lochs. Pump some Adrenaline: Want to get some excitement into your Drumlanrig visit? Then you have two excellent choices: mountain biking or Land Rover tours. Whether you keep it cool on the trails or head off road to get muddy, these both sound fun and I look forward to trying both on my next visit. Car: Castle is off the A76 (Dumfries to Kilmarnock), 17 miles north of Dumfries, and is signposted from the M74 (J14 southbound) and A702 at Abington and Elvanfoot. Bus: You’ll need to take MacEwan’s Bus 100 (not the 100 Express Airport bus) to Thornhill, then switch to the 246 bus service. Or you can take a taxi from Thornhill to the castle. The Pete Irvine book is actually called “Scotland the Best” and is an essential guide book for visiting or living in Scotland.